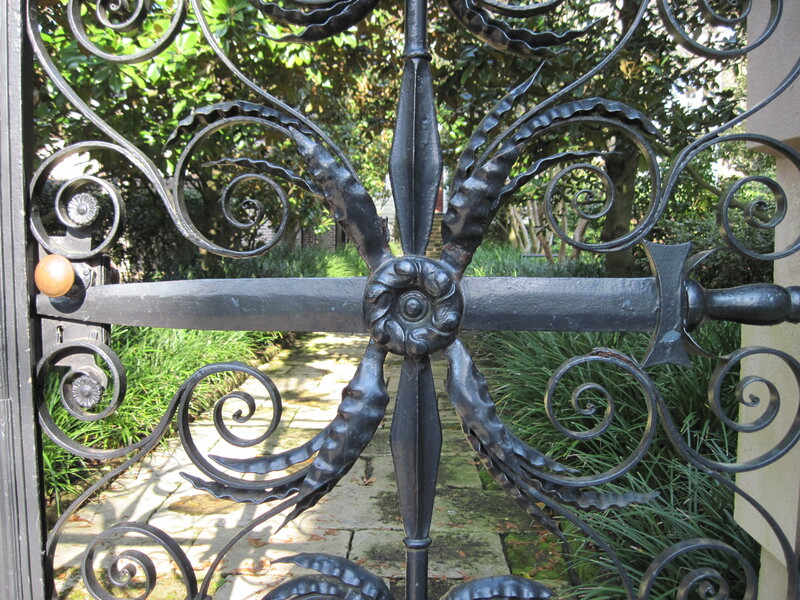 I just finished reading an article about a historic garden in Charleston, S.C. They were talking about the garden of Sword Gate House, which is named for the grand wrought-iron gates that stand watch over the entrance. 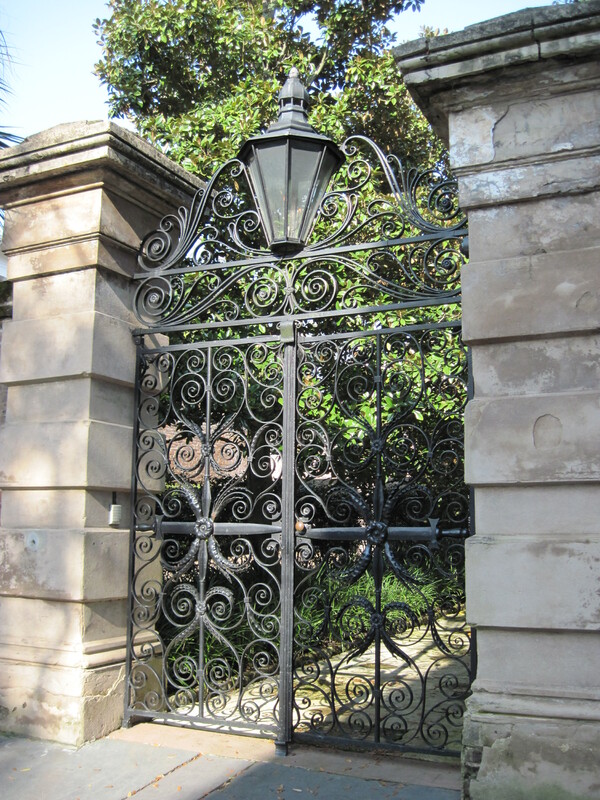 We saw those gates last spring while we were walking around the historical streets in old Charleston. The gates were made in 1838 and were originally intended for the Charleston Guard House. However, they became too expensive for the Guard House and Sword Gate’s then-owner purchased them. They gave the house its identity and has been known as such for some 175 years. I first heard about the Sword Gate House as I was reading the book South of Broad by Pat Conroy. I read it just before we were to leave for our trip to Charleston so it was fun seeing the sights that were mentioned in the book. We were only able to see the gates to the house as it is a private residence. The article was describing a massive, three-year restoration of the house and grounds. The house had gone through many changes by the various owners and the grounds had been subdivided into three plats. The current owners decided to bring the original grounds back together, re-establishing one of the largest plots in the old city. I hope that when all is finished the house and garden will be part of the annual Festival of Houses & Gardens some year. I would love to see it. If you are interested in doing a wonderful house and garden tour the Annual Festival of Houses & Gardens in Charleston, South Carolina is a must. It takes place each year around mid March through mid April. Since we went to the 2010 tour I will write more about it at a later time.